Where are the previous Robot Launch winners now? Will you be our next Robot Launch winner? There’s 25 days left to register! You can register by going to 2016 Robot Launch global online startup competition. CleverPet is a smart dog feeder that lets you play, teach, and connect with your pet all day. More than just an automatic dog feeder, CleverPet teaches your dog games, dispenses rewards, and adapts the gameplay as your pet gets more skilled. Robot Launch judges said they picked Cleverpet because they were “a polished company that is poised to serve a big market that people take seriously,” noting that the CleverPet’s adaptability and focus on play distinguishes it from other robotic pet products, and that the team understands the needs of both pets and their owners. CleverPet received a prize combination of $5000 in cash and $5000 in Amazon Web Services, courtesy of c/o CSIRO, SMBC, iRobot. 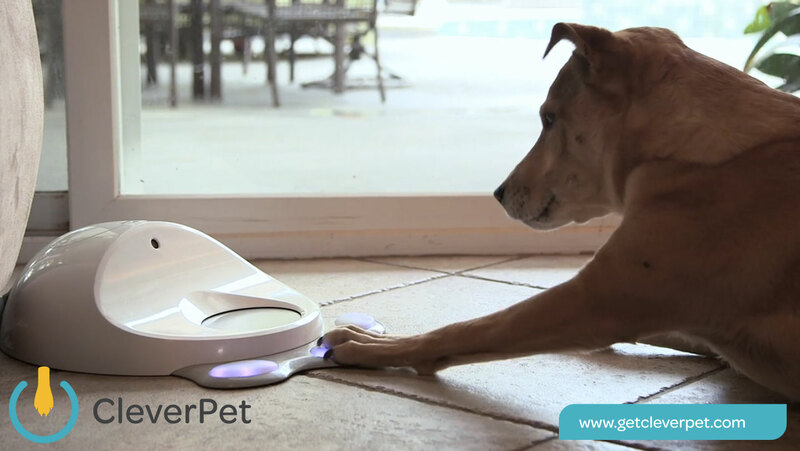 Since winning last year, CleverPet was unveiled to the public at the Consumer Electronics Show (CES), January 2016. Co-founder Leo Trottier successfully pitched CleverPet to a delighted and enthusiastic crowd, winning first place in the startup pitch battle. The CleverPet Hub will be sold through their website, although they are not accepting orders yet. But you can sign up to receive an email for when they start accepting orders. The price of the Hub will be $299 (USD). Preemadonna designed a nail decorating robot aimed at girls and young women. Nailbot uses thermal inkjet technology, computer vision and a smartphone to allow you to paint custom designs on your fingernails. Since being awarded 1st Runner Up, Nailbot has amassed a collaborative community of testers, hackers, designers, and nail art fans—early adopters and recruits via the Preemadonna Ambassadors program. Walia has also partnered with nonprofit partners like Maker Girl to help test, design for, and the get the word out. Nailbot is currently in beta, with a limited trial release heading out later this year, after that, they’ll head into mass production. There’s a waitlist to join. Currently, the waitlist has over 20,000 people, and will be doing a preorder campaign September 2016. “Since Robot Launch, we’ve been humbled and excited by the response from the tech community and from girls and boys that want to be a part of Preemadonna and help bring the Nailbot to market. In fact, we have over 20,000 people on our waitlist and will launch a pre-order campaign in the early Fall! We encourage students to get involved with our Nailbot journey by submitting to one of our Ambassador challenges (design Nailbot art, win a DIY printer or share your story on our blog!). Robot Launch was a terrific launchpad for Preemadonna to introduce the Nailbot to the world.” Pree Walia, CEO of Preemadonna & inventor of the Nailbot. They also recently won The Audience Award, selected by Embedded Vision Summit attendees, based on innovative vision-based products in the inaugural Vision Tank competition. Other awards include being a finalist at both TechCrunch Disrupt SF’s 2015 Startup Battlefield and Girls in Tech’s 2015 Lady Pitch Night, as well as, being published in the Robohub 25 Women in Robotics to Know. 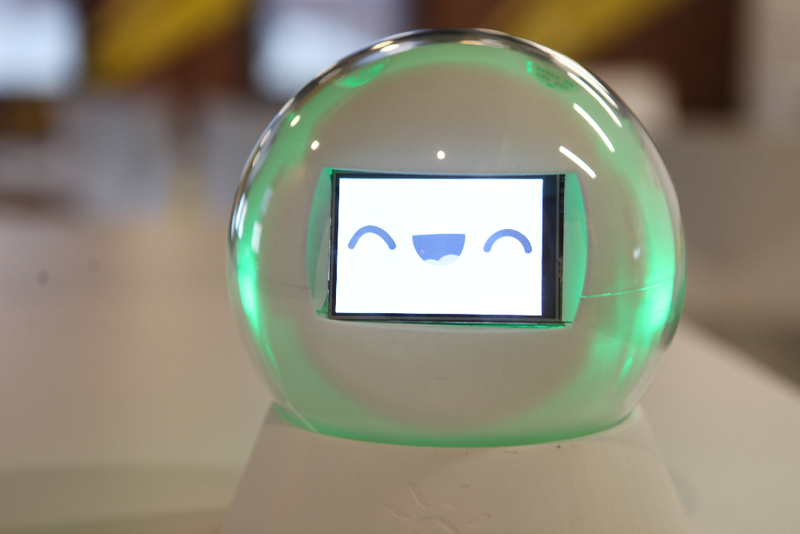 LEKA is a robotic toy that helps autistic children learn to regulate their own emotions through play. The robotic companion is designed specifically for children with special needs, to sparkle their motivation and help them learn, play & progress. July 2016 – Releasing the first manufactured prototype. November 2016 – Release the second improved and optimized manufacturing prototype. December 2016 – The last prototype will be released just before Christmas as we want to present LEKA to Santa’s workshop. January 2017 – LEKA will need to go through the validation process. The production of the pre-series products will start in February. April 2017 – Beginning manufacturing for the finished products. May 2017 – LEKA will finally be wrapped and delivered to your door. You can also register at leka.io to keep in the loop for when they officially launch. Will you be our next Robot Launch winner? Register at 2016 Robot Launch global online startup competition. Pitch your robotics startup online to an audience of top VCs, investors and experts, with live finals in Silicon Valley.